For the ninth year running, Wightlink has provided free ferry travel to the charity which collects unwanted bicycles on the Isle of Wight and sends them to the charity’s headquarters in Colchester where they are sorted for suitability before being shipped to remote communities in Africa. The latest batch has been transported this week. Re-Cycle Isle of Wight receives support from several Island companies, including InnerSpaces in Cowes which stores the donated bike and Bartlett’s Service Station in Newchurch which provides a van free of charge each year to transport the bikes to Colchester. 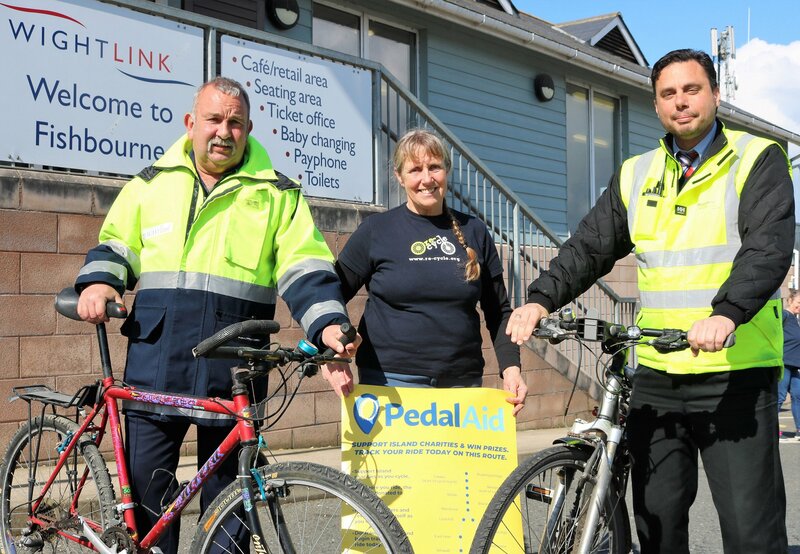 The charity has also received a welcome boost this year after being announced as the chosen charity for PedalAid, a new phone app that allows people to raise money for charity as they cycle along the Island’s Red Squirrel Trail between Cowes and Sandown. If enough cyclists take part, Re-Cycle Isle of Wight could receive £400 which would cover the cost of fuel for about four trips to Colchester. People can sign up to support the scheme by going to www.pedalaid.org. To date, around 1,500 bicycles from the Isle of Wight have been sent to Africa via the charity. As well as helping African communities, Re-Cycle also supports people in the UK to learn new skills about cycle maintenance at its Colchester base.